Evolution Gaming has released it’s Interim Report for January to June 2018. Operating revenues increased by 35% to EUR 110.8 million (82.0). EBITDA increased by 33% to EUR 48.1 million (36.3), corresponding to a margin of 43.4% (44.2). Profit for the period amounted to EUR 36.7 million (27.4). Earnings per share amounted to EUR 1.02 (0.76). 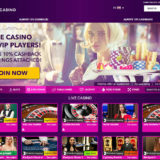 This is mainly due to the release of a number of new games at the beginning of the year like Lightning Roulette, and specific Salon Privi Tables tables aimed at VIP players. 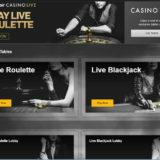 A number of Dual play installations have been signed and rolled out, including Dual Play Baccarat from the Grosvenor Casino. Regulated markets continue to challenge the online gaming industry, with Sweden the next major market to regulate on the 1st January 2019. 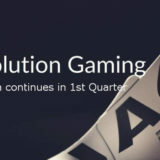 Evolution has positioned itself to take advantage of this and signed deals with two of the market leaders Svenska Spel and ATG. Markets share is important to Evolution as they extend the gap between themselves and their competitors. What’s really interesting is how their market is currently divided up. 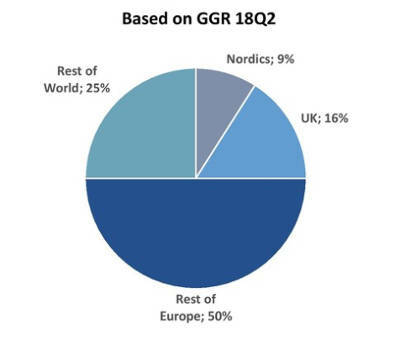 You’d expect them to be very strong in the UK, Nordics and Europe, which makes of 75 % of their market share. Most of our customers are licensed in a limited number of jurisdictions while operating in a global market. In line with our customers’ geographical spread, our global exposure is also increasing. Against this background we provide, in this report, a clearer picture of where our end users are located. We can affirm that the proportion outside Europe is increasing, and that regulated markets account for about one third. But interestingly is the rest of the world at 25%, which is significant with 33% of the areas they operate in being non-regulated. Some of the 25% will be from the USA and Canada, but most is likely to be from the Asian market which was mentioned during the briefing. However neither Martin Carlesund and Jacob Kaplan were prepared to give any more detail. The Asian market has a huge interest in Live Casino games, you only have to witness the ever growing presence of Asian operators at the trade shows to see that. Although being the first operator to gain a license to operate in New Jersey, USA, it’s taken until now for deals to be signed and studio builds to be commissioned. As of now deals have been signed with Ocean Resorts & Resorts World Casinos. The studio is being built to serve several operators and will initially offer 10 tables with Live American Roulette, Blackjack, Baccarat, Three Card Poker, Ultimate Texas Hold’em and Slingshot Auto Roulette. More games and tables will then be released gradually, including dedicated tables for specific operators. The studio in New Jersey is expected to go live in the third quarter this year. 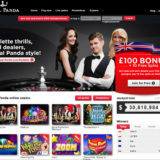 A Dual play Roulette table will also be streamed by Resorts World casino, with European Casino’s having an option to take the stream for their players. This is where i get my crystal ball out and also analyse some of the things that have and haven’t been said. Evolution has a history of churning out new games. That’s what players are really interested in and I suspect that will be true during the rest of this year. I would expect to see an Asian influence start creeping into the game offerings. We’ve seen all the improvements to Baccarat and the new release of Dragon Tiger, but with 25% of their market coming from the rest of the world, these two games aren’t going to meet all the player requirements. So I wouldn’t be surprised if we see something in this area. It’s an each way bet, after all I am a gambler :-). 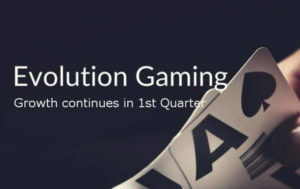 I’ve also heard on the grape vine that the FPG (First Person Gaming) product is having a major overhaul, so I’ll be looking out for the changes.